Enter for a chance to win this top quality, 3D wall decor, print signed by artist Edina Steigman. The baby room's main focus is to keep it sweet and girly. Different shades of pink and green in 3d wall decor keep the room dimensional. Stylish decorating ideas include customized lettering that can be hang up in just a few minutes. Made from the same high gloss, durable, 1/8" thick moisture resistant material . The image is baked into this coating. This creates a permanent image that is resistant to scratching, heat and impervious to water. The center section is a dense wood composite that is also impervious to water. Image size is 15" x 15". 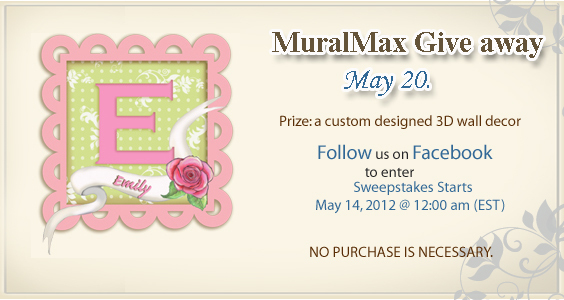 The winner needs to provide name as you would like it to appear on the 3D wall decor.